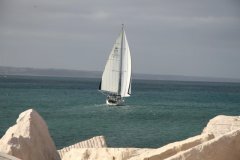 The first part of the consultation is discovering what you, the client would like to improve with your sailing. 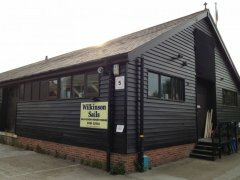 We will usually visit the boat to measure and discuss what you need. 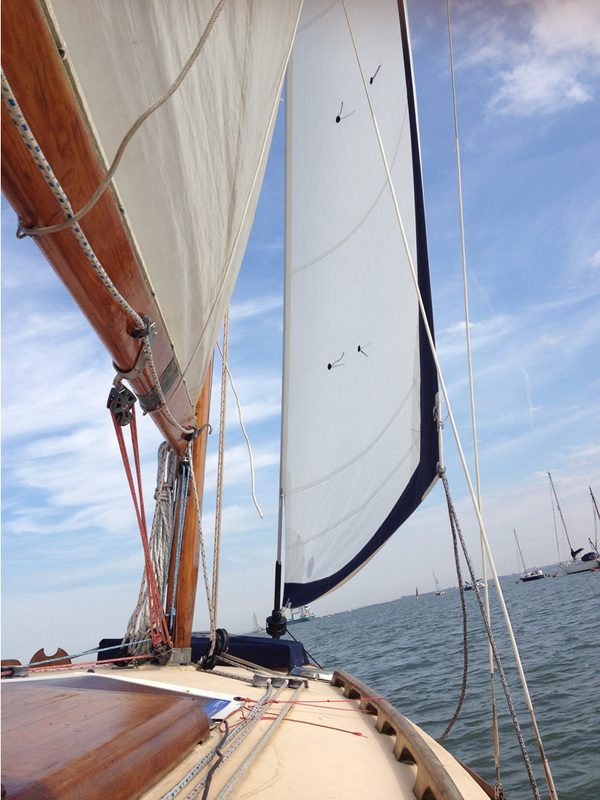 Your sailing requirements can often tailor the finish of the sail. For instance if you a planning a voyage to further afield destinations, with some longer passages in mind, we will point out the merits of a custom made blue water sail. 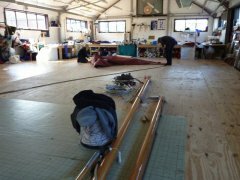 If you are a day racer, we will build a more performance orientated sail giving you the option to work at tweaking the best speed out of the boat. Finally, our Coast cruising finish offers very good value, still custom made to suit the boats use,with a three year guarantee against failure in materials and workmanship. So three available finish styles to your needs – Blue water, Race and Cruise. Contact Us or click here for a quote. 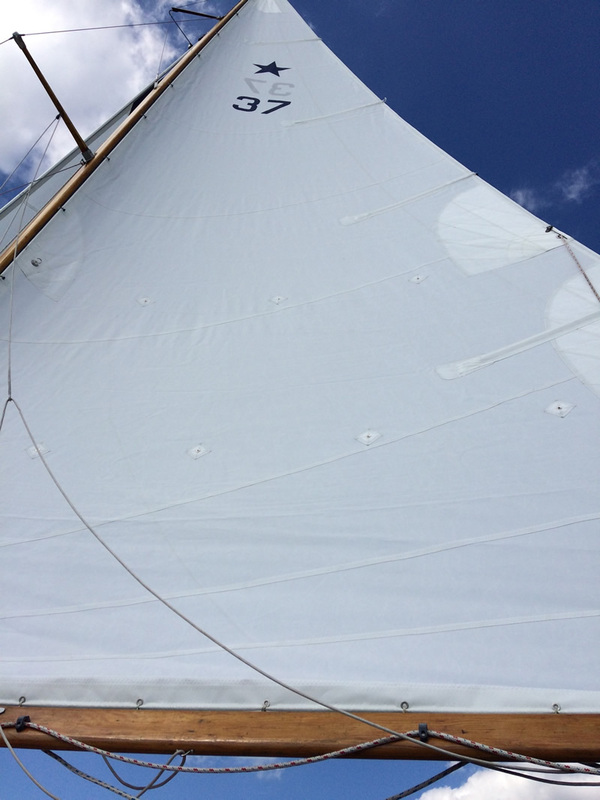 Cruise sails are made from performance terylenes,mainly we use Challenge, Marblehead, Contender Fibercon or Bainbridge ocean weave. All very stable superior dacrons with a good handle (not too resinated). Seaming thread is a UV resistant bonded polyester. Most of our cruise sails are sewn with two rows of zig zag stitching (not one large 3 step zig zag ). 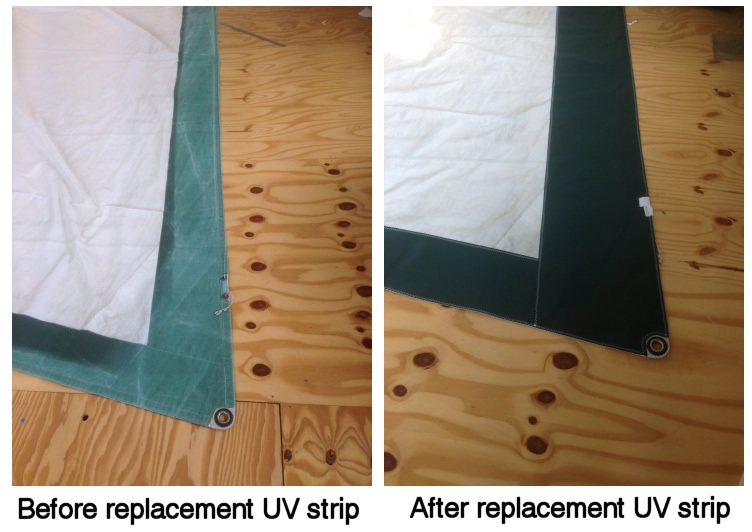 Sail panels are glued using double sided venture tape for correct seam shape and panel positioning before being sewn with two rows of stitching. 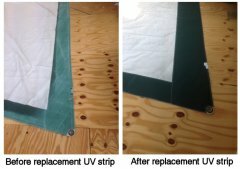 Reinforcement patches are made from the original sail material, so offering the same stress on the fabric that its sewn too.These are also weave aligned to prevent differential future movement as the sail ages. 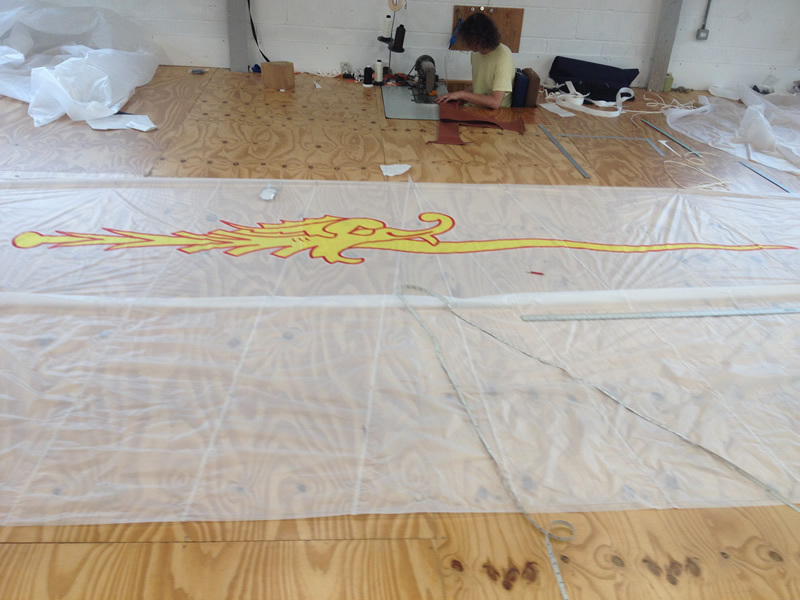 All our tablings (the sail edges) are the same weight of fabric as the sail panels, again less stretch occurs. These are continuous trimmed tapes that carry the loadings across the seams at panel ends. 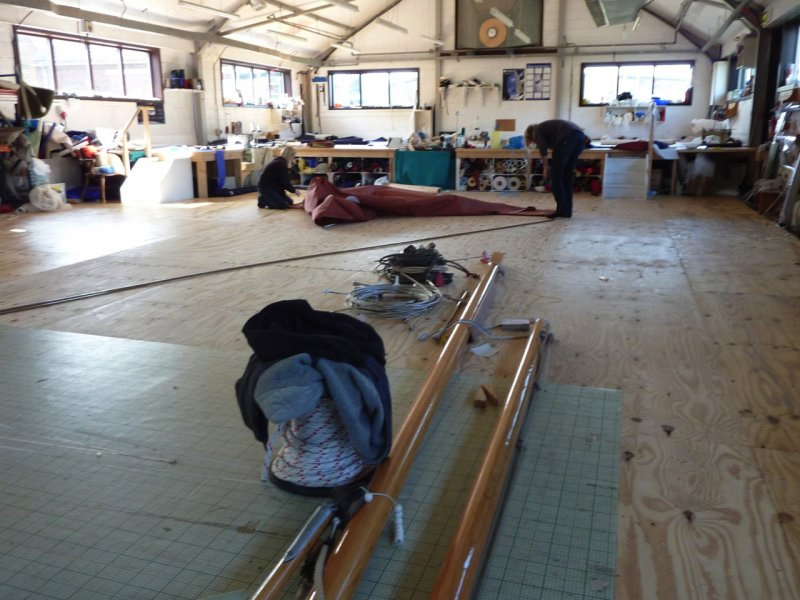 The actual shape of the sail and its use on board, will often dictate the panel layout.Most of our cruise sails are cross cut,radial or even mitre and vertical for traditional boats. We use the best sail eyelet available from Rutgertson. A really superior all stainless steel hydraulically pressed cringle. Headboards ,Battens, sliders, luff boxes and other ancillary hardware is supplied by Bainbridge or Contender, tried and tested to perform in all conditions. We are very confidant that the fabric choice and construction will outlast the competition, so we are happy to offer three and five year guarantees.